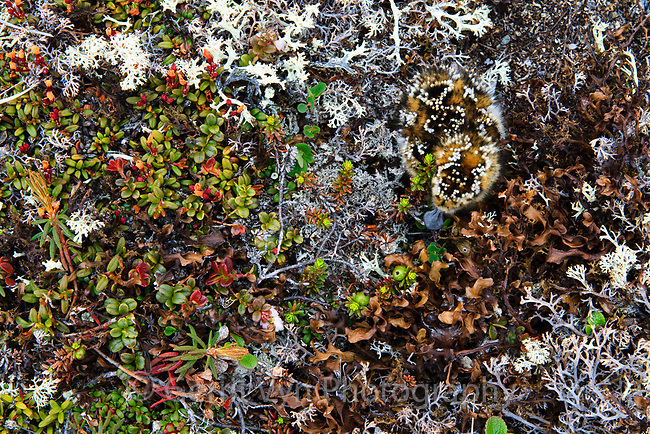 Spoon-billed Sandpiper chick camouflaged on the tundra. Chicks crouch and freeze in place when the adult gives a certain warning call. Chukotka, Russia. July.